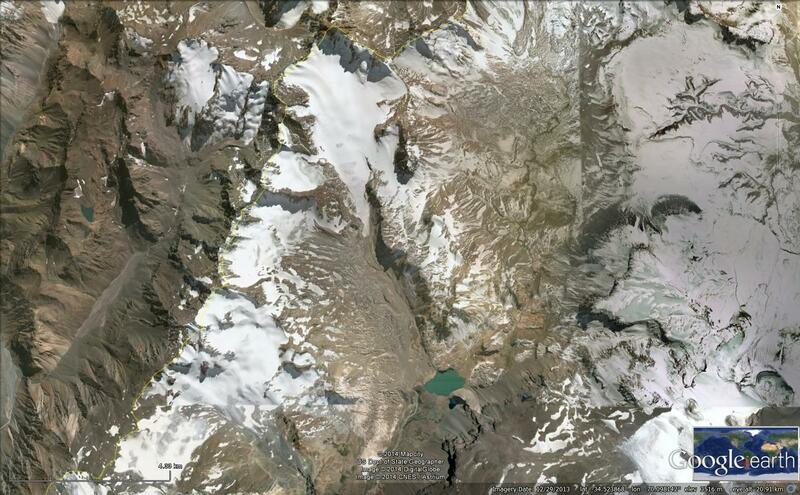 Glaciar del Humo is in the Mendoza Province of Argentina. 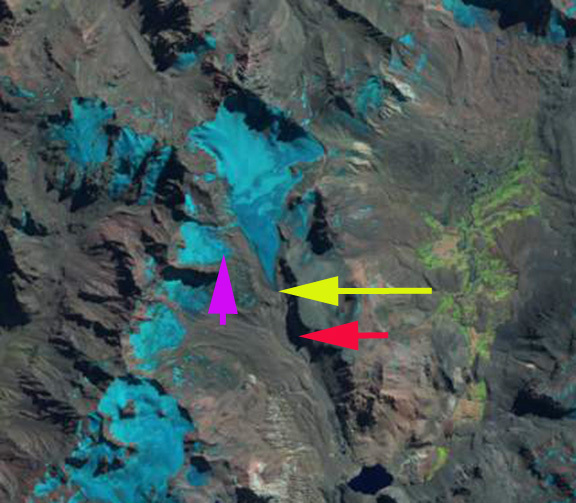 It drains into Lago Atuel and is one of the headwaters of Rio Atuel. 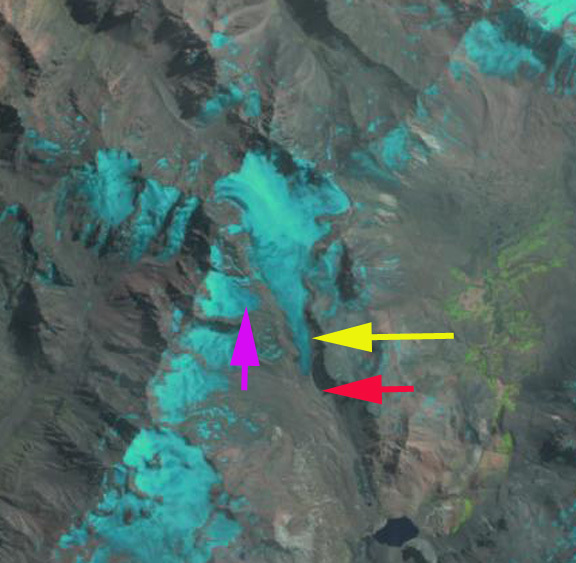 Rio Atuel has hydropower development above and within the Rio Atuel Canon. 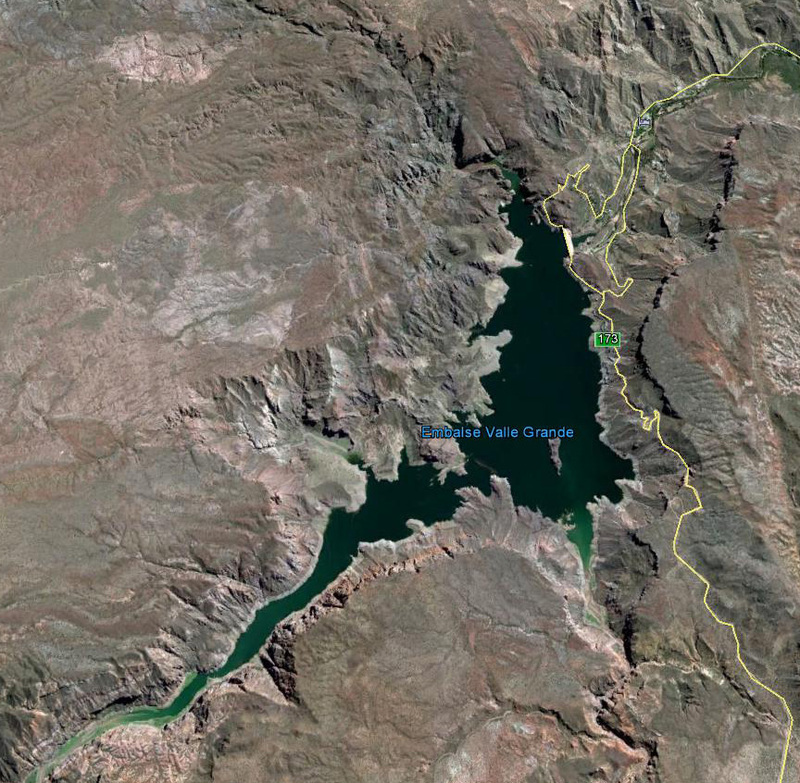 The Nihuil dam and reservoir above the canyon and four more dams within the canyon, including Valle Grande Reservoir. 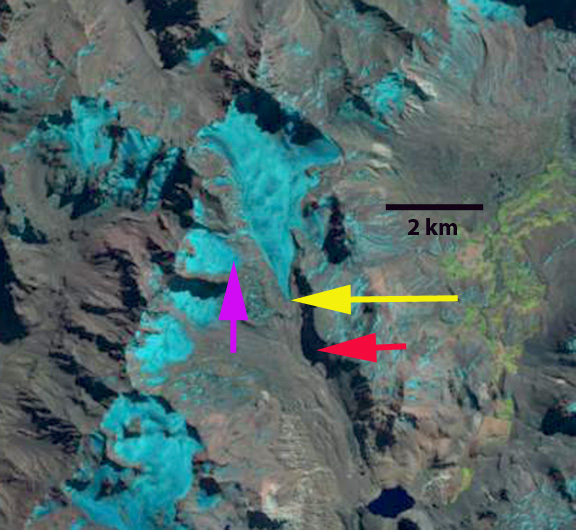 Le Quesne et al (2009) examined the retreat of glaciers in the Central Andes and reported the retreat of Glaciar del Humo as 3200 m from 1914-1948, 700 m from 1948-1970 and 660 m from 1970-2007. 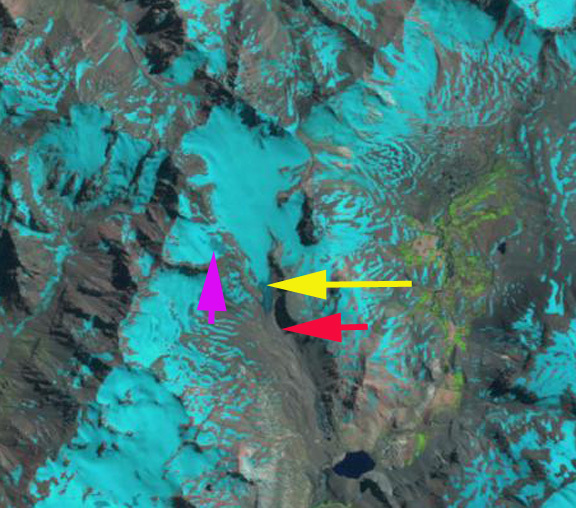 Here we utilize Landsat imagery to observed changes from 1990 to 2014. 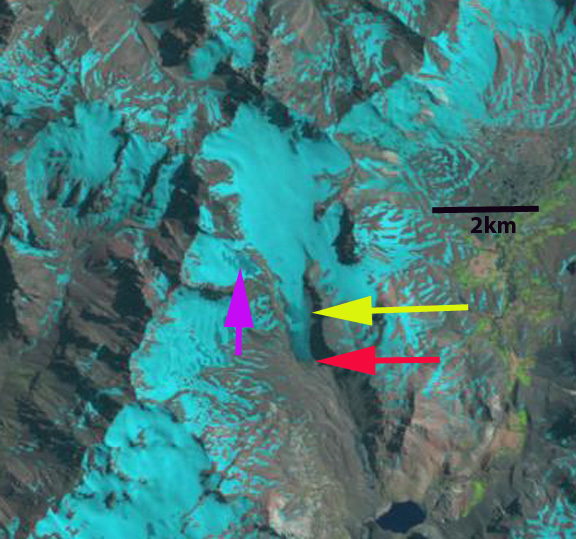 This entry was posted in Glacier Observations and tagged argentina glacier retreat, humo Glaciar retreat, rio atuel glacier retreat. Bookmark the permalink.